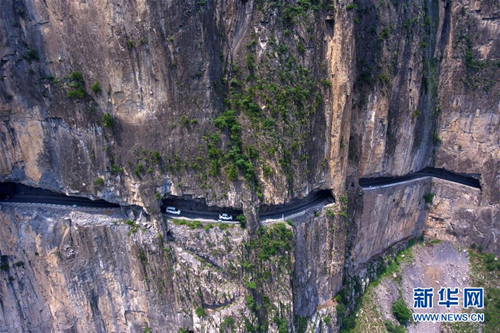 A 1,526-meter-long road built along cliffs has connected isolated Shenlongwan village in North China's Shanxi province to the outside world. 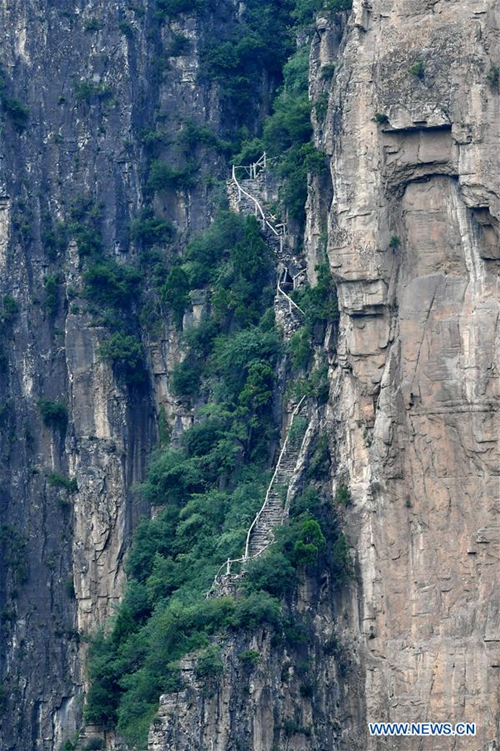 Decades ago, residents in Shenlongwan village in the deep of the Taihang Mountains had to climb flights of steps along cliffs, or were forced to detour through eight towns, to reach the downtown of Changzhi city. To link the isolated village to the outside world, local villagers started constructing the miraculous road in 1985 and completed it after 15 years of hard work. Since the cliff road was put into service in 2000, the unique landscape of Shenlongwan village has attracted even more visitors, especially calligraphy, photography and painting enthusiasts. Many villagers who worked outside have returned to help develop tourism and offer tourists rural homestay services. At the end of 2015, locals in Shenlongwan village had rid themselves of poverty thanks to the tourism boom driven by the road. 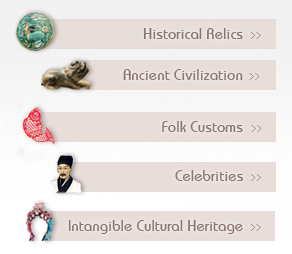 The village received 300,000 visitors in 2017 with tourism revenue amounting to 50 million yuan ($7.72 million).